Many people who abuse hydrocodone develop tolerance and dependence, which results in withdrawal symptoms when they try to quit. These symptoms can make it very difficult to stop using without professional help. Hydrocodone abuse and dependence results in a number of consequences, including issues with controlling drug use, personal relationships, and fulfilling certain responsibilities. Get back control of your life. Chronic use of hydrocodone often results in physical dependence, and the user becomes focused on obtaining and using the drug. Quitting represents taking back control of one’s life. Reconnect with loved one’s. A hallmark sign of a substance use disorder is broken relationships with important individuals in one’s life. 1 Quitting hydrocodone is the first step in building or even rebuilding personal relationships. No more side effects or withdrawal symptoms. No more rushing around trying to get hydrocodone to avoid feeling sick. Improve your career and complete your education. Substance use disorders also affect work and school. Quitting hydrocodone will improve one’s performance in these endeavors and allow one to find the right career or job. It can lead to opportunities to make more money and/or engage in educational attainment or training. Improve psychological and emotional functioning. A number of the so-called narcotic medications may dampen both thinking ability and emotions. 2 Quitting will help one experience life fully again. Treatment for a substance use disorder is best approached with the assistance of trained and licensed addiction treatment specialists. These individuals use research-based approaches and teach coping skills and relapse prevention techniques. They also provide support and assistance during the recovery process. Inpatient treatment. A person remains in the treatment facility 24 hours a day, which is advantageous during the withdrawal process and for people who need to isolate themselves from environmental conditions that can lead to relapse. Treatment usually includes detox, individual and group therapy, 12-step meetings, aftercare planning, and other activities such as outdoor recreation. Outpatient treatment. People attend treatment only during scheduled times. Programs usually include group therapy and sometimes individual therapy. Many people use outpatient as their primary mode of treatment, but it can also be used as follow-up care once people discharge from an inpatient facility. Individual therapy. A person meets one-on-one with a therapist. This treatment option does not offer medically supervised detox or intensive care, and it usually works best as an aftercare option after formal treatment. However, it does offer the opportunity to focus on specific issues the user is experiencing in recovery. Group therapy. Group therapy involves several people being treated at the same time by a trained therapist. Users can give and receive feedback on various aspects of the recovery process. 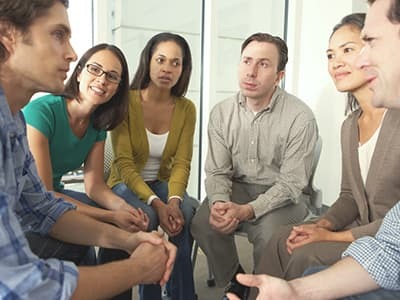 Group therapy also removes some of the isolation many people feel when they are struggling with a substance use disorder. 12-step groups. These are not formal therapy programs because they do not enlist the aid of professionally trained therapists. However, these programs are extremely beneficial to people in recovery because they are run by recovering addicts. They offer support and a structured and focused program of recovery, and they are available nearly any time of day. These programs also are ongoing, and many individuals attend them for years. Learn how to function without drugs. Avoid situations that can lead to drug use. Treatment should be followed by some form of follow-up care when the person discharges from treatment. Aftercare can include ongoing counseling, attendance at 12-step meetings, and sober living. When people develop a physiologic dependence to hydrocodone, they are likely to experience physical and emotional reactions when the levels of the drug in their tissues drop. This is known as withdrawal. It occurs as a result of the person’s system getting used to operating with the drug in his or her body – adjusting to function efficiently when the drug is present, and sub-optimally when it is not. People who develop severe substance use disorders to opioids find that withdrawal makes it difficult for them to stop using the drug on their own. How long the user took the drug. How much of the drug he or she typically took. The manner in which the user took the drug (i.e., orally, nasally, injected, in concert with other substances, etc.). Individual differences in physical and psychological makeup. Whether or not one engages in a medically assisted detoxification program. The symptoms in this phase are very distressing, and people are at a high risk for relapse. On average, the withdrawal symptoms will begin to appear between 12 to 16 hours after discontinuation. Feelings of fatigue and exhaustion. Mild symptoms may continue until the 10th day following discontinuation. This may not be a withdrawal syndrome, and it has never been formally recognized by such entities as the American Psychiatric Association. However, many people in recovery experience long-term issues with motivation and mood swings that can trigger cravings. Some treatment programs will use medication-assisted treatment (MAT) to help people detox from opioids such as hydrocodone. A physician will administer an opioid replacement medication and gradually reduce the do’se over time. These drugs can help a person avoid some of the uncomfortable symptoms and cravings that can lead to relapse. They also help stabilize the user and allow him or her to engage in treatment without the distractions of withdrawal. Some of these drugs are themselves prone to abuse and diversion, and they should only be used under the supervision of a physician. MAT is also most effective when combined with behavioral therapy. Methadone- a long-acting opioid medication that does not produce the same “high” as hydrocodone , but offers a controlled do’se of an opioid that can help a user detox safely. Buprenorphine – produces similar but less potent effects as hydrocodone and can help reduce cravings and withdrawal symptoms. Naltrexone – operates on the same receptors in the brain as hydrocodone, but blocks the effects. It can be extremely difficult to quit using hydrocodone on one’s own. Users must spend time analyzing why they abused the drug and working to change how they view the world as part of the recovery process. Getting involved in a professional treatment program is often the best way to do this. Approach recovery as a long-term process. There are no shortcuts. Remember that detox is only the first step in recovery. Many people who complete detox without obtaining any other form of treatment relapse. Detox followed by engagement in a treatment program is more likely to lead to success. Develop a good support system such as family, friends, and other recovering individuals. One good source of social support is 12-step groups such as Narcotics Anonymous. SMART Recovery is a non-12-step option. Address the issues that drove the use/abuse of hydrocodone. Identify the reasons for abuse with the help of therapy and social support groups. Don’t consider mistakes to be failures. Consider them as opportunities to learn. Many people in long-term recovery have relapsed. Stick to your goals. Stay motivated – it is a good predictor of success in recovery. The following are some do’s and don’ts for approaching someone who has a problem with hydrocodone. Point out specific ways the substance abuse has affected you. Offer to help and support the person during the recovery process. Try to get the person to at least consider the notion that they may need help. The goal is to get them to commit to some form of treatment. If at all possible, enlist the help of a substance abuse therapist or an individual who has successfully battled this type of addiction. Try to discuss the issue with the person. Do not argue the issue. Confrontational approaches do not typically motivate people with substance use disorders to seek treatment. Expressing anger, blaming an individual, or telling the person that he or she is “bad” are likely to spark a negative reaction. Even if the person’s behavior angers you, do not approach them in an angry fashion. Judging the person’s behavior will typically make him or her angry or defensive. In many cases it is best not to use words such as “addict” or “addiction” when you approach a person. These words can lead to arguments. As discussed above, it is best to engage in a medically assisted withdrawal program instead of quitting cold turkey. 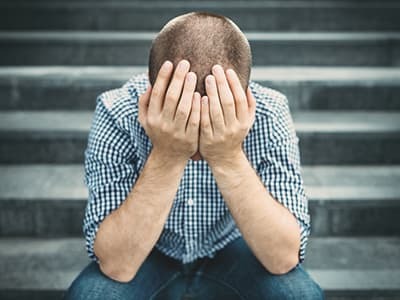 While withdrawal is not physically dangerous, people undergoing the emotional strain of withdrawal are at risk for medical complications, self-harm, or relapse. Physicians use a number of strategies to lessen withdrawal symptoms and cravings. Physicians can monitor the person and make sure there is no potential issue with depression or suicidality. Other potential issues, such as co-occurring mental health disorders, can be addressed during this phase as well. Medically assisted withdrawal lessens the chances of relapse and gives the person a head start on the road to recovery. If you or someone you know is struggling with hydrocodone abuse, call 1-888-319-2606 Who Answers? for assistance finding a recovery program. A treatment support representative can confirm your insurance coverage over the phone.
. American Psychiatric Association. (2013). The Diagnostic and Statistical Manual of Mental Disorders – Fifth Edition. Washington, D.C.: Author.
. Whiteford, H. A., Degenhardt, L., Rehm, J., Baxter, A. J., Ferrari, A. J., Erskine, H. E., and Burstein, R. (2013). Global burden of disease attributable to mental and substance use disorders: Findings from the Global Burden of Disease Study 2010. The Lancet 382(9904), 1575-1586.
. Rastegar, D., & Fingerhood, M. (2015). The American Society of Addiction Medicine Handbook of Addiction Medicine. New York: Oxford University Press.
. Brick, J. (Ed.). (2012). Handbook of the Medical Consequences of Alcohol and Drug Abuse. New York: Routledge.
. National Institute on Drug Abuse. (2014). Treating prescription drug addiction.